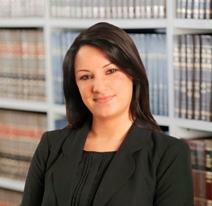 Kelli A. Knight is admitted to practice law in both Maryland and New Jersey. She practices in the areas of workers' compensation, personal injury, motor vehicle accidents, criminal law, traffic violations, and related litigation and appeals. The majority of her practice is in litigation in the District and Circuit Courts of the State of Maryland. Mrs. Knight has a Bachelors of Science Degree in Psychology from Misericordia University and a Juris Doctorate from the University of Baltimore School of Law. She is a member of the Maryland Bar Association, the Bar Association of Baltimore City Young Lawyers Division, and the Maryland Association for Justice.